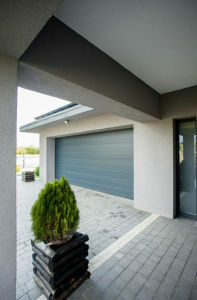 The value of having an automatic garage door opener is completely negated when the garage sensor is either out of alignment or simply in need of repair. That means opening and closing the overhead door on a regular basis is something that’s likely to get old very fast for anyone, including the residents of North Texas. If you are having issues with your Garage Door Sensor, contact us for help! The possibility of needing garage sensor repair may depend on how viable the transmitter sender and receiver are working. These are located on both sides of the door and close to the ground (generally five inches above ground) and have acquired the moniker of “safety eyes” for two specific reasons. They can help determine if the door is actually closed, while also noting if any object or a person (often a child) might be stuck. The easiest fix in this situation often doesn’t require any repair, but is usually related within the realm of cleanliness or clutter. In the first instance, dirt and other debris can accumulate, which are problems that can usually be fixed by simply wiping the fixtures. In the latter case, material can conceivably overwhelm this area, which can block the signal from being transmitted. Simply removing the items addresses the problem in simple fashion. However, given its location, the garage sensor alignment can inadvertently be knocked off course at some point. This may not seem like a major component of the sensor process, but the sender and receiver have to be in alignment to work. Simple actions like carrying out items might result in briefly bumping one of the sensors, which is enough to cause problems. If there is a problem with the garage sensor alignment, there’s always a tendency with some homeowners that it’s a simple task that can be handled, thereby saving the cost of any repair. However, the professionals in this business are that for a reason—because they know what to expect and how to do the job properly. Making adjustments that look like they should work can sometimes cause what was a minor problem to manifest into one that requires more repair than was previously needed. Other factors that can ultimately result in garage sensor repair, focus on the changing weather patterns. While severe cold never truly hits North Texas, its counterpart of heat certainly does. Still, in cold weather, alignment can come into play if too much lubricant had previously been applied—in some cases coming off the track. A weakened or dead battery may be the cause or the issue could be related to faulty wiring. In the latter case, that can mean anything from a sensor that only works intermittently to a wire that’s come loose or even broken. This is another situation that really doesn’t lend itself to do-it-yourself projects, given the potential health hazards that could result. Finally, a lapse in regular maintenance can end up causing an issue, That’s just one more reason why scheduling a yearly tune-up is a simple task that can help alleviate a lot of potential aggravation. Texas Overhead Door services LiftMaster garage door openers, which can provide not only the convenience factors, but also throw values like security and safety into the mix. Therefore, when garage sensor alignment becomes an issue, it makes sense to contact us at Texas Overhead Door. We’ve handled situations like this for the last three decades, so we’ve pretty much seen it all when it comes to garage sensor repair. 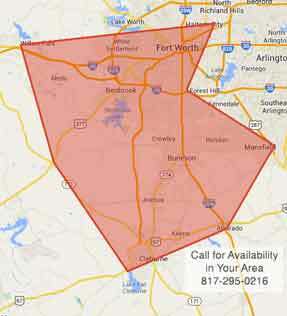 We have 24/7 emergency service to handle whatever crisis develops, so contact us today !